Mark Andrada | contain yourself. Mark is a robot who has been programed to have feelings. However, he was bitten by a zombie. Now all he craves is companionship… companionship and brains. It’s all very confusing. Mark Andrada is a Canadian Comedy Award winning performer/writer/director. 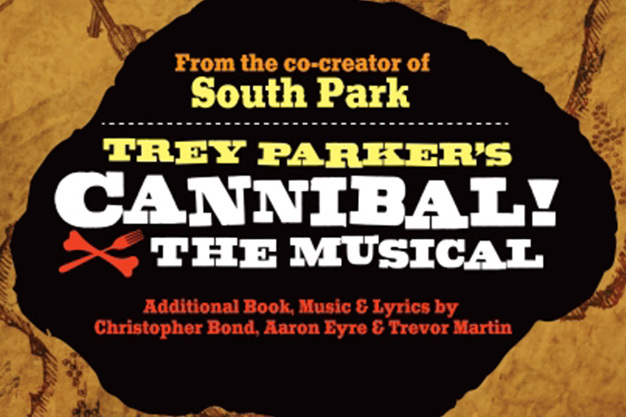 On stage Mark originated the role of Swan/Chief in the World Premier of Trey Parker’s Cannibal! The Musical. He has also worked as a puppeteer for The Canadian Opera Company, and as a clown for Canadian Stage, Zero Gravity Circus, and (with a terrific amount of unsuccess and irony) at a comedy club called Clownz in Quezon City in the Philippines. Mark has performed sketch and improv comedy as a member of The Second City, and The Annoyance Theatre in Chicago. Film and TV appearances include: Man of the Year (Universal), Man Seeking Woman (FX), 12 Monkeys (Syfy), Rick Mercer Report (CBC), Odd Squad (PBS), Covert Affairs (NBC/USA Network). As a director, Mark is responsible for 2-Man No-Show parts 1 & 3 (do not blame him for part 2), as well as Sandra Battaglini’s Hard Headed Woman. Mark is also a dilettante lighting designer: Off Broadway On Stage (Angelwalk), Stephan Maccio In Concert, Louise Pitre and Jackie Richardson – Heart and Soul (Jeffrey Latimer Entertainment). One time, Mark designed the lights for Dinosaurs Unearthed! an animatronic dinosaur exhibit at the Detroit Science Centre. Neat, huh? markandrada.com is rarely updated, but go for it! Mark can be seen regularly as the resident DJ of Toronto’s “most popular” Improv show Catch23 every Friday night at Comedy Bar. Sounds alright, right? Mark Andrada · contain yourself.